JRPG Jungle: Two New English Senran Kagura Trailers? Oh my. 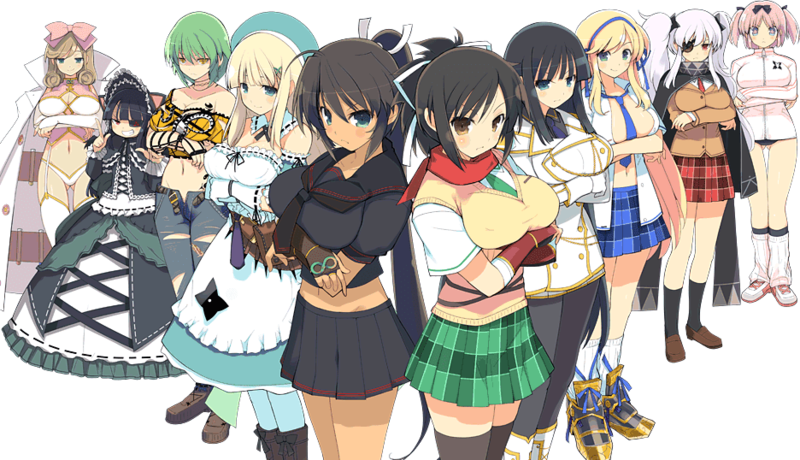 Here's a secret: I've been avoiding posting about Senran Kagura. It's jiggly, gorgeous ninjas just seemed like too much for myself and this blog. Let's back up for a second: I've known since I was a teen that JRPGs have their share of big busted girls, short skirts and flirty attitudes and that was only from Final Fantasy X-2. But even at 22 years of age, Senran Kagura is still beyond all of my game experiences in last years 3DS game trailer alone. Then I saw these two trailers. They look far too fun not to talk about. Senran Kagura: Bon Appetit is cooking-meets-rhythm game that provides a quick rhythm game with lots a humour in this trailer alone. I mean, who can't love the self-depricating slogan? This game isn't actually available for pre-order anywhere and was a digital release in Japan. That's most likely the case here. Back to the regular action game Senran Kagura fans will know, the trailer for Senran Kagura: Shinovi Versus looks to me like a big beat 'em up with crazy characters and lots of quirky, strange humour. I'm really attracted to the humourous elements in both of these trailers - it looks like the game doesn't take itself too seriously and something that funny and light-hearted would be awesome on the train home from a grueling day at work.